The Tutima already has many spectacular races and appearances in her wake. The 14-meter-long, 8.6-tonne, titanium-grey racing yacht has a maximal sail area of 257 square meters and a mast height of 23 meters. 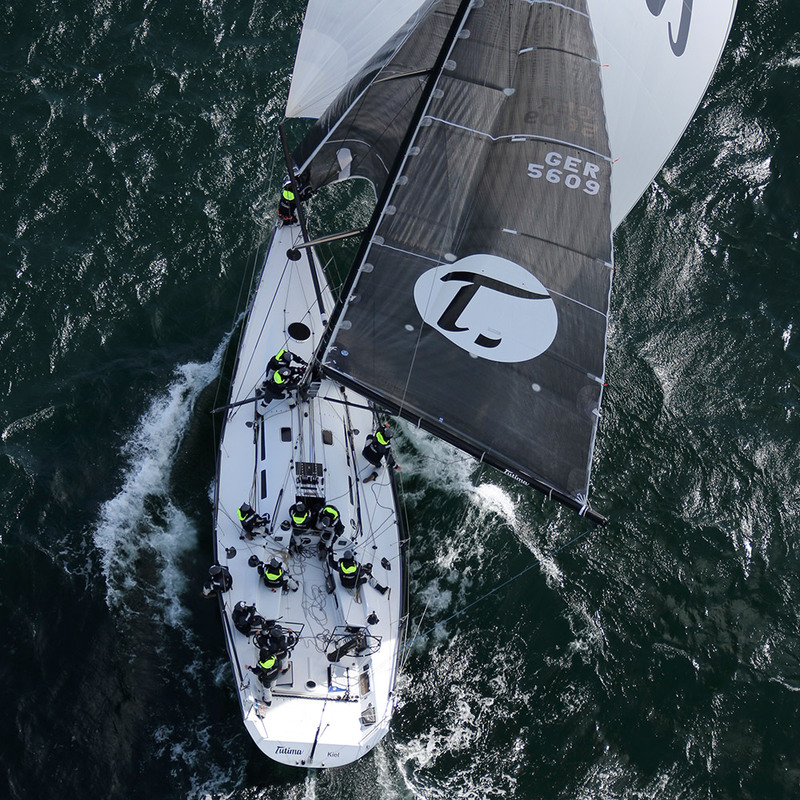 A “T” (for “Tutima”) adorns the black sail of this dk46, which – as in previous years – will participate in the Kieler Woche and other international regattas.